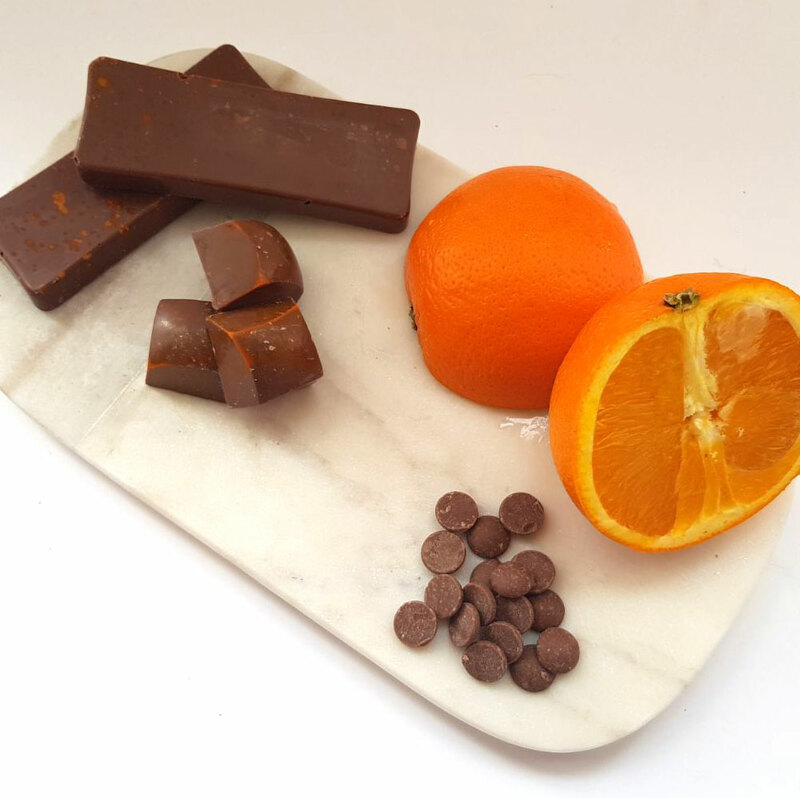 Our irresistible milk chocolate Orange Rocky Road are infused with natural orange to give it that distinctive flavour which will have you wanting more. 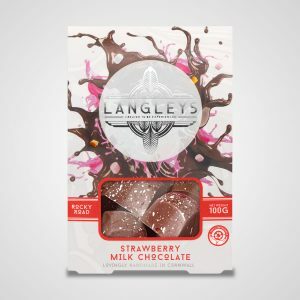 One of our Taste of the West 2018 Silver Award winners. 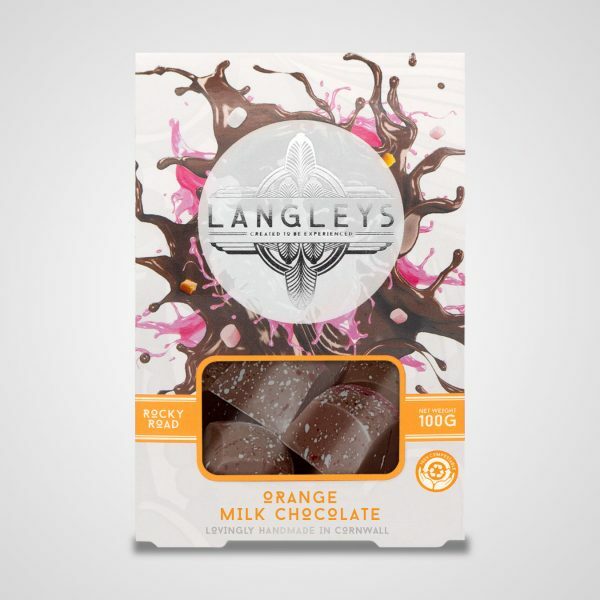 The smooth milk chocolate infused with zesty natural orange delivers the distinctive taste associated with our award winning Orange Rocky Road. The rich milk chocolate and candied orange peel alongside our regular rocky road regulars of soft nougat, caramel, honeycomb and marshmallow bring you a sublime and exotic taste experience. 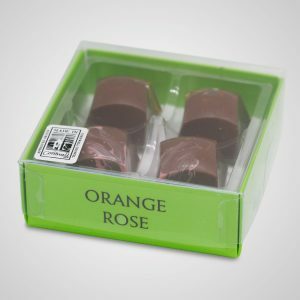 Always a crowd-pleaser at our events around the country, our Orange Rocky Road has now become one of our latest award winners. 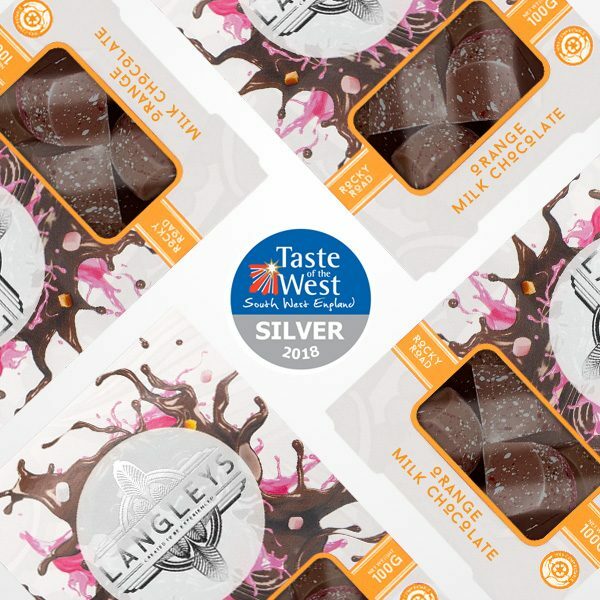 Now its your time to enjoy the Taste of the West Silver Award Winner 2018. 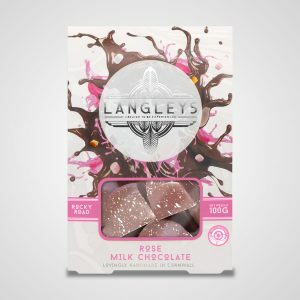 Add a few cartons of this delicious orange and milk chocolate treat to your basket and see some of our other Rocky Road milk chocolate favourites. SUGAR, COCOA BUTTER, WHOLE MILK POWDER, COCOA MASS, SULTANAS, CANDIED ORANGE PEEL, NATURAL VANILLA FLAVOURING, SULTANAS, GLUCOSE SYRUP. SKIMMED MILK POWDER, SUNFLOWER OIL, MILK FAT, LACTOSE & PROTEIN FROM WHEY (FROM MILK), WHEY POWDER (FROM MILK), PALM FAT, FAT REDUCED COCOA, BARLEY MALT EXTRACT, SALT, EGG WHITE POWDER, MILK PROTEIN, WHEAT POWDER (FROM MILK), MILK FAT EMULSIFIERS (SOYA LECITHIN, E492), WHEAT FLOUR, PALM KERNEL FAT, PALM KERNEL OIL, RAISING AGENTS (E341,E500, E501), WHEAT GLUTEN, GLAZING AGENT (PECTIN),PRESERVATIVE (E202, E223), ACIDIFER (E330), COLOURING (E102, E110), NATURAL ORANGE FLAVOURING.